Peppermint oil is a popular and effective home remedy for the treatment of migraine. Migraine is a form of headache, which may be the result of your food habit. Dietary changes might reduce your headache. Other alternatives for headache relief include use of peppermint oil. Keep reading this article to learn how to use peppermint oil for migraines. Is Peppermint oil Good for Migraines? Peppermint oil has calming effects on the nerves. Therefore, it helps those people, who suffer from migraine. Though it has some side effects like allergic reactions, mouth ulcers, eye irritation etc., it has been used as an effective remedy for migraine. 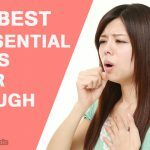 According to the Centers for Disease Control and Prevention’s National Health Interview Survey, 12% of the whole population of the world has used peppermint. Peppermint oil can be used alone to reduce headache or can be combined with other ingredients like ethyl alcohol, frankincense in order to provide relief to migraine. Peppermint oil improves blood circulation, relieves tension and reduces pain. Calming and numbing properties of peppermint oil help the people suffering from migraine. How it works: the use of peppermint oil to forehead is a natural medication for migraine. Peppermint oil extracted from the peppermint herb provides relief to headache. Best time to apply: 20 minutes after headache. When you apply ethyl alcohol to forehead, it soothes muscle. In addition, ethyl alcohol has mentally relaxing effect. How it works: the mixture of peppermint oil, eucalyptus oil and ethyl alcohol provide relaxing effects on the muscles and the mind. It soothes migraine. Frankincense oil is antiseptic, anti-inflammatory, disinfectant and digestive agent. Therefore, this oil can reduce migraine. How it works: due to its anti-inflammatory property, this oil reduces the swelling of blood vessels that leads to pain. Best time to apply: during headache. Though peppermint oil is an effective remedy for migraine, its use has some side effects like allergic reaction, dizziness, heartburn, muscle tremor, mouth ulcers etc. It may slow down heart rate. Its overuse can cause brain damage, muscle weakness, seizure etc. Menthol, present in peppermint, may be deadly to humans. Don’t use peppermint oil on infant’s face. Pregnant women and breastfeeding mothers should avoid this oil. Peppermint oil is a popular and effective home remedy for migraines. 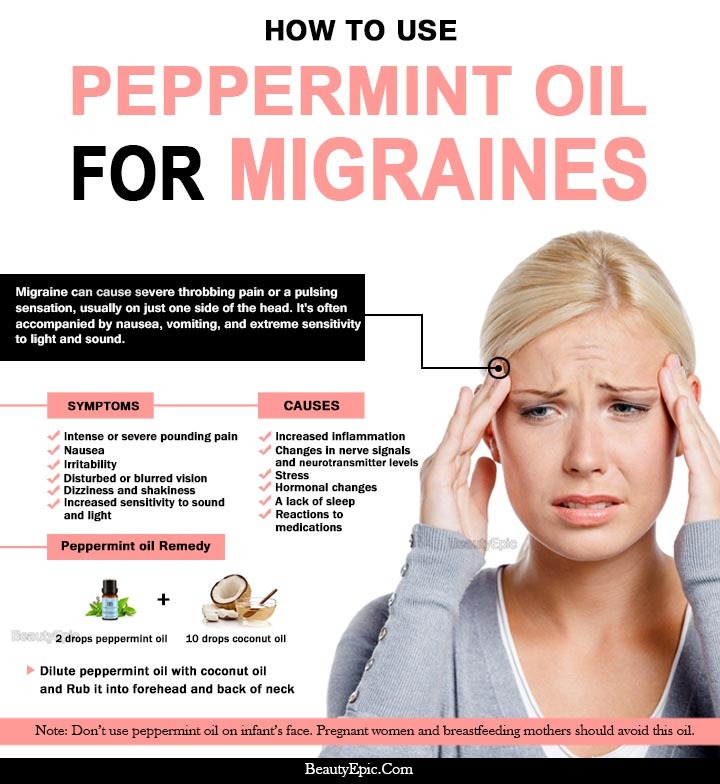 Keep reading this article to learn how to use peppermint oil for migraines.